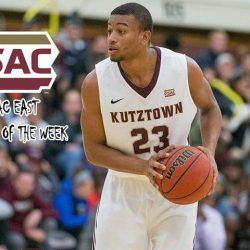 KUTZTOWN, Pa. – Kutztown University men’s basketball player Anthony Lee averaged 31 points per game in KU’s last three games, and in doing so, was voted the Pennsylvania State Athletic Conference (PSAC) Eastern Division Athlete of the Week on January 8 by the league office, marking his third honor of the season. The redshirt-junior scored a career-high 34 points in back-to-back games at West Chester (Dec. 30) and vs. Bloomsburg (Jan. 3), and has played all 40 minutes the last two games. He finished last week shooting 57.1 percent from the field, 61.9 percent from 3-point range with 13 makes, and made 24-of-26 free throws. He also averaged 5.3 rebounds and 3.0 assists per game. At West Chester, he made 12-of-13 free throws and shot 9-of-13 from the field. In a win over Bloomsburg, he made five 3-pointers and all five free throws with seven rebounds and six assists. At Edinboro on Saturday, Jan. 6, he shot 4-of-6 from 3-point range, made 7-of-8 free throws and scored 25 points. Lee is second in the PSAC in scoring at 23.6 ppg, and leads the Golden Bears (10-2 overall, 6-2 PSAC) in steals (28) and minutes per game (35.2). He is shooting 55.7 percent from 3-point range and 58.4 percent from the field, which ranks first and third in the conference respectively. He is also second in the league in free-throw percentage (92.6). 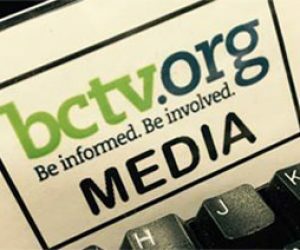 Kutztown returns to action Wednesday night, Jan. 10 against Mansfield University at 7:30 p.m. at Keystone Arena.